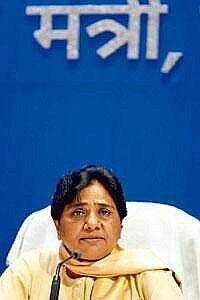 Aday after chief minister Mayawati-led Uttar Pradesh government cancelled a land allotment to the Indian Railways to set up a coach factory in Congress president Sonia Gandhi’s constituency Rae Bareli, the Allahabad high court on Monday ordered a stay on the controversial decision. “Both parties (the railways and the state government) shall maintain status quo over the land in question regarding possession," justices Pradeep Kant and Subeeh-ul-Hasnain of the court’s Lucknow bench said while hearing a petition filed by the railways challenging the state government’s decision to cancel the allotment of land to the national transporter. The court directed the state government to file a counter-affidavit in a week’s time. The petition was moved by the Union of India through the secretary, Railway Board, ministry of railways and two others. The petitioners had challenged the state government order issued on Sunday that cancelled the land allotment on the basis of a 10 October report of the Rae Bareli district magistrate apprehending law and order problems in case the possession of land was handed over to the railways. The court order has fuelled speculation whether the United Progressive Alliance government would insist on conducting a ‘bhoomi poojan‘ (ground breaking ceremony) at the site in Rae Bareli as was planned by the railway ministry. An official said the railways is yet to decide whether the planned ceremony—to be attended by Congress president Gandhi and railway minister Lalu Prasad—would take place. “I cannot comment on this matter," said the board official on Monday. An officer with the Uttar Pradesh administration said it had not heard from the railways after the court order. “As far as we know there will be no ‘bhoomi poojan‘ there (on Tuesday)," he said. Meanwhile, a senior Congress leader, who didn’t want to be named, said Gandhi has decided to visit Rae Bareli on Tuesday. However, it is still not clear whether the inauguration ceremony will take place.